I smell big capital’s foul breath. The Beast must be around. RUN LITTLE PI TO YOUR RETRO-PI-IN-A-SUITCASE-“HACK” SAFE SPACE!!!!!!!!!!!!!!!!!!!!!!!!!!!!!!!!! I believe it’s always been around in the shape of Broadcom. After all, plenty of people on the Pi team are either ex-broadcom employees or work both places. I’ll only believe that Broadcom doesn’t essentially own it, if the SoC of the next board isn’t a Broadcom affair. Seems more British invasion to me. Take a higher quality device… make it in plastic and manufacture in China while profiteering off derivatives and other financial instruments related to as well as work their way into whatever they can. Neat device still… just doesn’t seem to create more jobs in the U.S. so much to me. Let’s see the data for business lifecycle metrics… including market impact. Interesting regardlesses are the best kinds of regardless. Security is the deciding factor. Hmm. 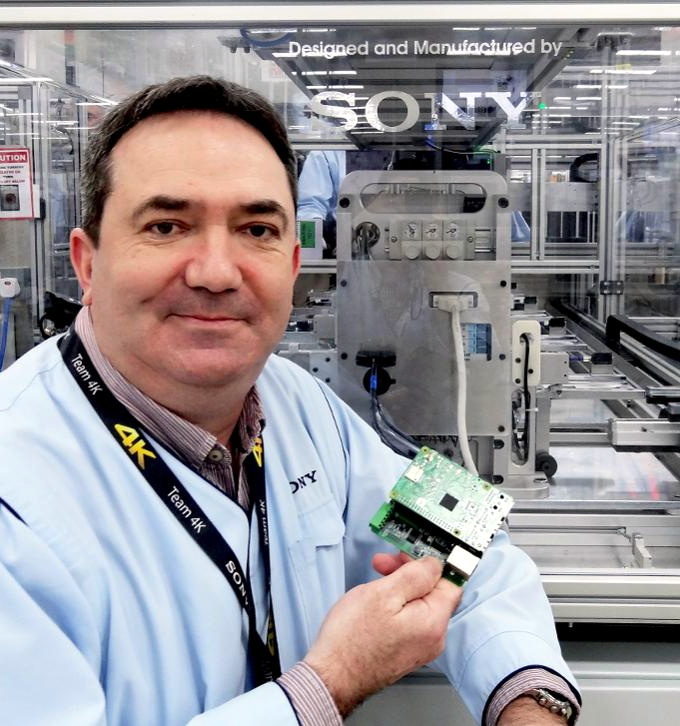 using a raspberry pi for mission critical stuff in a multimillion dollar factory? were IS the bofh when you need him? Unfortunately, or fortunately as the case may be, that’s not forbes. That’s forbes’ blogging host. Any URL starting in Forbes.com/sites/ should be viewed as having the same authority as a site from blogger.com. I’d say that probably you should consider the raspberry pi zero. Still has connectors on almost every side. But fewer, and all the ports that might have to be accessible to users are on one side. Not that it’s bad or good, but these are the perfect examples of modern electronics. Super high-level programming and high-end hardware to solve fairly simple problems with clock cycles and shared code… just because it got cheap enough to do so. Raspberry Pi Is a big deal only because of the huge volunteer community, the hardware is good for educational purposes any other usage is a pure garbage. How about controlling the grid? I’ve seen it. Our professional products use them to capture medical device data and they do it extremely well might I add. I’ve seen many uses that aren’t educational and are perfect use cases for the little board whereas the beaglebone just causes more issues than it’s worth. NOT garbage me ol chum! For low level in-house testing they are perfectly fine. They are cheap, available, and provide a good level of I/O. They also have a good level of peripheral support. Would I use them for anything mission critical? No. But there are loads of things which are not mission critical, and these are a far cheaper option than customized hardware. Thats great but could we get a backup power pack that acts as a powered hub for under $100. Buy a USB battery pack and a USB hub and… profit? Exactly what intelligence is required here? Genuine question. Perhaps you could link one of these $100 devices? Look in the direction of LiFePO4wered. Perhaps am too ensconced in the limitations found in my particular neck of the unwooded desert. RPi is fun and useful for some domains, but cannot be considered industrial grade stuff. A simple ARM cortex solution would seem more direct and easier to implement and more reliable. But it /is/ a simple ARM Cortex solution. I haven’t come across many SBCs that are simpler. And certainly none that have better software support. We used to do a lot with industrial single board PCs and modbus. In terms of field reliability, Pis knock the socks off anything resembling x86. Pretty much anything we do now aside from full on multi-monitor workstations is ARM based nowadays and much better for it. PI real easy and easily as ‘industrial’ as many other SBC. Linux- No special IDE. No ridiculous licensing for 30$ worth of hardware being sold at 400$+ with extra$. Lower power requirements and not x86 near or at EOL tech. There are clones of PI with a little more processing power. PI is lacking large assortment of on-board ADC/DAC and peripherals commonly found on industrial boards. Reliability changes from manufacturer and board but so far PI has been exceptional comparatively for a non military spec device. Generic widely available Hats are getting better. I’ve used in-house only Hats that are far better than my own junk. Some of which 26 to 40 pin IO caused a little trouble solved by replacing older PI. Oh nooo 35$ or 20$ PIw available NOW. Point being that same PI is upgraded/modified by switching out Hats all of which keeps cost over runs down making bean counters happy(ier) . Not that all industry boards aren’t pluggable upgrade/mod path but cost tends to grow and specifically licensed IO port sticks developer into bad place. Yay i get to develop a device one time for a port and board that wont be available in near future with stupid level licensing agreement that cant be reasonably re-sold. My favorite being the licensing that runs till 2032 battery dies. Charming that. Lack of CF vs . SD still an issue with some requirements and lack of parallel bus with sufficient speed more still. So agree that it will not be replacing more powerful industry boards. Then again overpowered applications not new. Maybe an ESP32/8266 could replace the whole lot. Dont know. Hat in use not mentioned though appears to be fairly complex. 8*8 LED matrix withstanding. Raspberry PI has made its’ own niche thanks to a large community of support. The article mentioned is a bit dated in relevance and not timely for Tech community. Someone should notice that the PI is mentioned but no mention of the hat and its capabilities which would be of more interest to me. Reliable? Around here they just keep running and working. I just got another RPI3 B+ for another project because they seem to work so well. Yes, the first ones seemed to have problems when you inserted a USB devices, but haven’t seen this problem in the latest hardware. I just got another RPI3 B+ for another project. These boards just seem to run. Not sure what the kick is with reliability as I’ve not run into anything that says they are ‘unreliable’. They just seem to sit there an run. I setup a pi-hole for fun a few weeks ago and it just cooks right along. A couple of other projects have been running for months at a time on my bench. Most all my PIs are running the ‘lite’ version of Raspbian as I don’t need the GUI for what I do. Am I the only one who’s seeing this guy’s hair blink as I read the text? It’s like those calculators where your peripheral vision sees black dots in the corners between the keys. I know it’s Monday morning…but it’s really wigging me out (pun intended). It’s all good and dandy until the uSD falls out when mounted on equipment. Why? Because RPI go so cheap and stoped putting a locking uSD onboard. Netboot. If the unit dies, just throw a new one in without mucking around with SD cards (except to configure it for net boot…). I’ve had units dropped and kicked around and the only thing that happened was a USB drive dislodged. I now use the plastic sandisk ones and it’s never happened since. No uSD cards have ever fallen out and not one RPi has failed which is why our next product will be produced in aound 750+ units to replace old video capture USB dongles and PCs. Awesomeness is the RPi IMO. Industrial grade uSD cards make a big difference to reliability. You can grab 8GB cards from mouser etc for not much moolah. We have a bunch of pis running everything from lighting to printers to music and beer tracking at work. All steaming along with 400+ days of up time on them. Sod off Forbes, nobody asked you. I wonder if this is what happened with the Boeing 737 MAX 8. A Raspberry PI’s got a hardware watchdog timer and brownout detector on-board. That alone makes it already suitable for embedded/headless applications. Only issue is that the software stack is huge, compared to that running on a PIC or Atmel device. But that does mean that software development will be faster, as all software can be developed on a higher level. So it’s a con, but also a po. I think it evens out. I think the biggest issue with a Raspberry PI is the actual bootup time. If the hardware watchdog triggers, and the system has to reboot, then it takes a few seconds to boot, instead of milliseconds. If you don’t need fast reboot time, then the PI is perfect. But if you need something to run an assembly line, then every second counts, and a fast reboot and recovery is paramount. All in all, I don’t see why the PI should be avoided, other than on automatic assembly lines.